POKEMON! GOTTA CATCH THEM ALL! At least, catch all our favorites. There are a lot of Pokemon. Like over 700, I think. The kids wanted a Pokemon Party with some of their favorites "to catch". 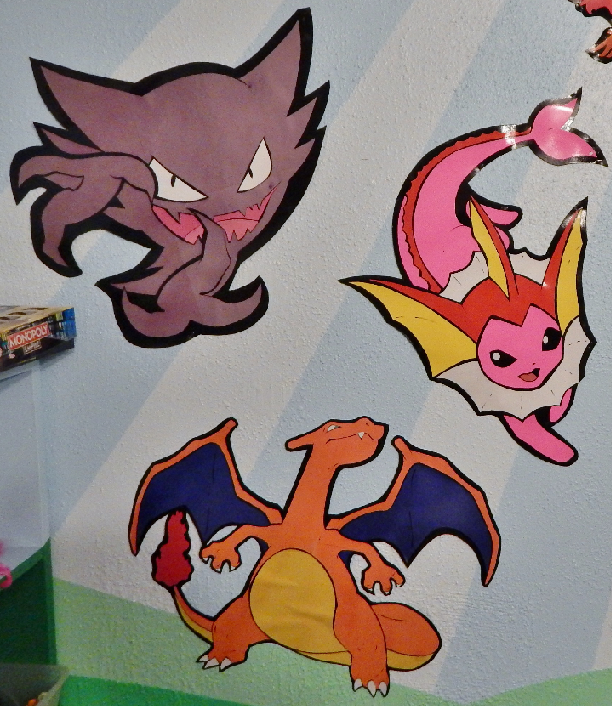 The toys are kinda pricey, so this Mommy made some Pokemon posters instead! They look pretty good on the kids playroom wall. 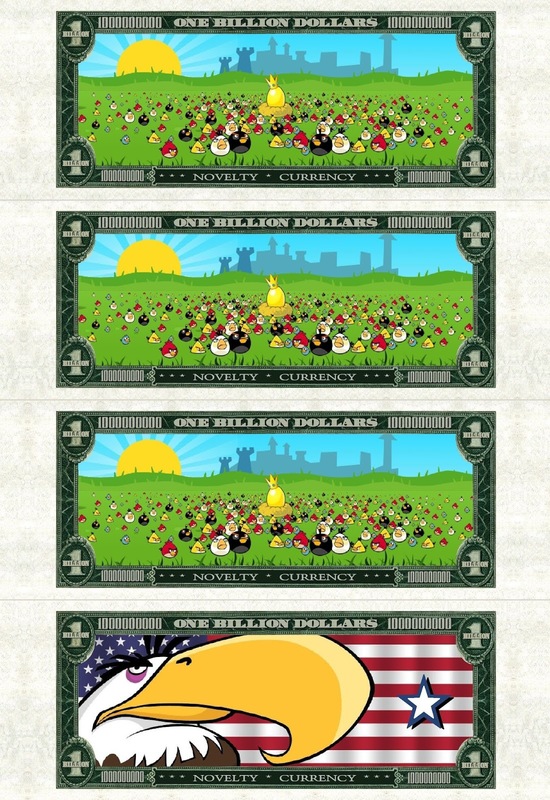 To make the cutting template, first, find a good image of the Pokemon. Remove the color, leaving just the lines. Divided the image into 8.5 x 11 sized sections. 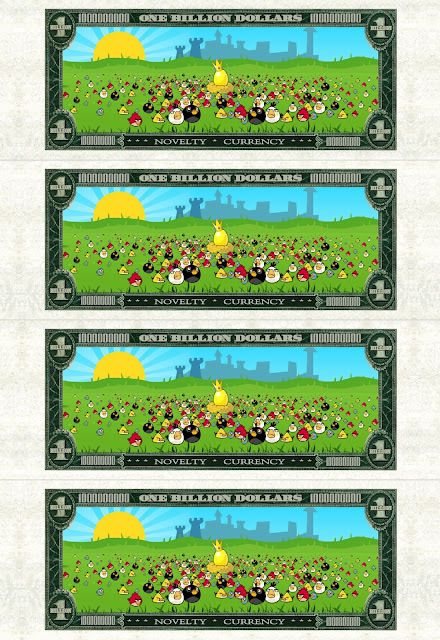 Cut the image into those sections so you can print each section on a piece of paper. Cut out the shapes with their corresponding colors. I used dollar store posters, colored paper, and card stock. Cut the outline shape of the Pokemon. I finished by spraying a little clear coat on them. I made them big because cutting big pieces is easier than cutting tiny pieces. I'm gonna make some PDF files of the templates for the next post. 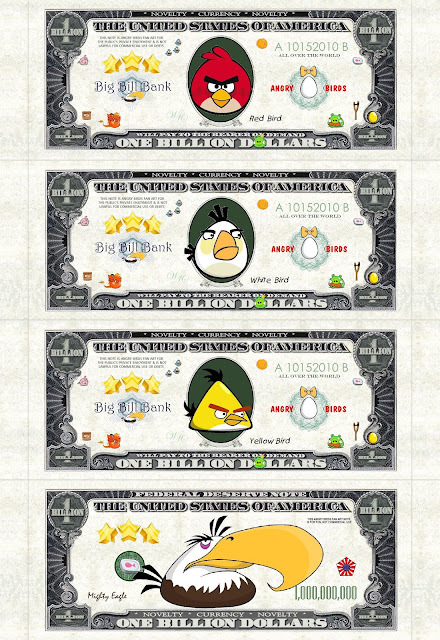 ANGRY BIRDS FREE U PRINT PLAY MONEY! MORE FREE PLAY MONEY FROM MOBILE HOME MOMMY! It's just too much fun creating these fan art party favors. FREE ANGRY BIRDS PLAY MONEY PRINTABLE PARTY FAVOR! But it's cool ANGRY BIRDS PLAY MONEY! Print this fan art money at home for party favors, rewards, play time, etc. You know, for personal, non commercial use. I print on card-stock, but you can print these on paper, too. 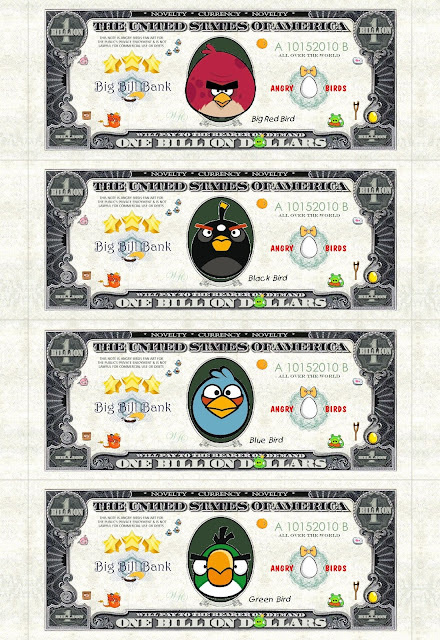 Front side FREE ANGRY BIRDS PLAY MONEY PRINTABLE PARTY FAVOR! 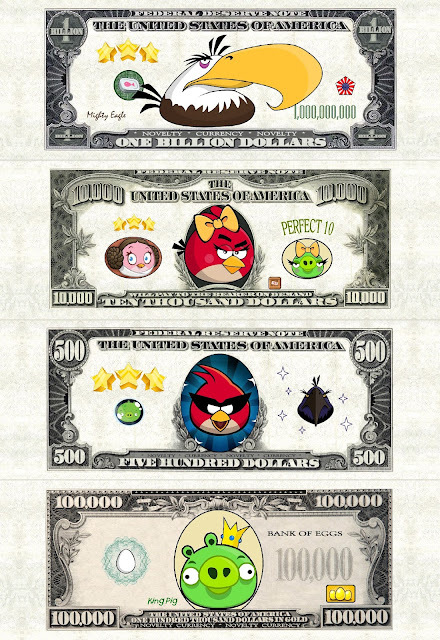 Mighty Eagle, Red Bird, Girl Bird, King Pig. Backside of FREE ANGRY BIRDS PLAY MONEY PRINTABLE PARTY FAVOR! 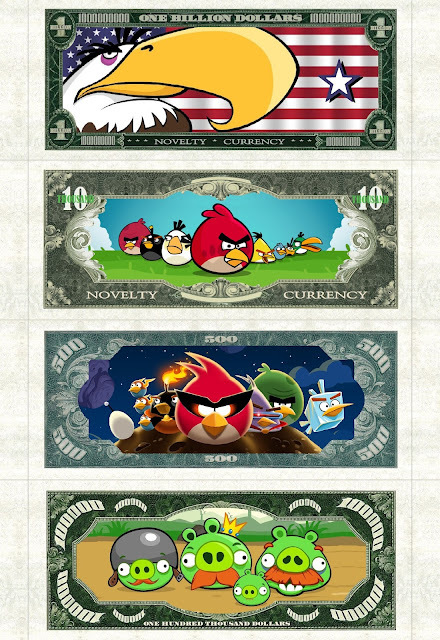 Mighty Eagle, Red Bird, Girl Bird, King Pig.